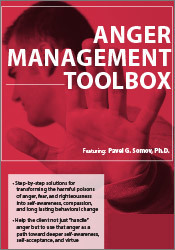 Pavel Somov, Ph.D., is a licensed psychologist with over 20 years of clinical experience and has worked and trained in a variety of clinical settings (community mental health centers, psychiatric hospitals, college counseling centers, correctional setting, behavioral medicine/pain clinic settings, VAs). Dr. Somov has lectured domestically and internationally on the topics of mindful eating, perfectionism, anger management, and mindfulness applications for addressing worry, dysthymia, insomnia and substance use. His work has been discussed in a variety of interviews and print publications including Martha Stewart’s Body + Soul Magazine and Oprah Winfrey’s O Magazine. A member of the Advisory Board of the London Mindfulness Center (UK), he is the author of Anger Management Jumpstart: A 4-Session Mindfulness Path to Compassion and Change (PESI, 2013), Mindful Emotional Eating: Mindfulness Skills To Control Cravings, Eat in Moderation and Optimize Coping (PESI, 2015), Reinventing the Meal (New Harbinger, 2012), Present Perfect: A Mindfulness Approach to Letting Go of Perfectionism and the Need to Control (New Harbinger, 2010), and The Lotus Effect (New Harbinger, 2010). 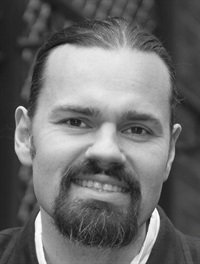 His essays and blogs have appeared on Huffington Post, PsychCentral.com, Intent.com, Psychology Today online and he has appeared on Sirius Radio’s “Fully Alive”. Financial: Pavel Somov maintains a private practice. He receives royalties as an author for New Harbinger Publishing and PESI Publishing & Media. Dr. Somov receives a speaking honorarium from PESI, Inc. Non-financial: Pavel Somov is a member of the American Psychological Association and the Greater Pittsburgh Psychological Association.